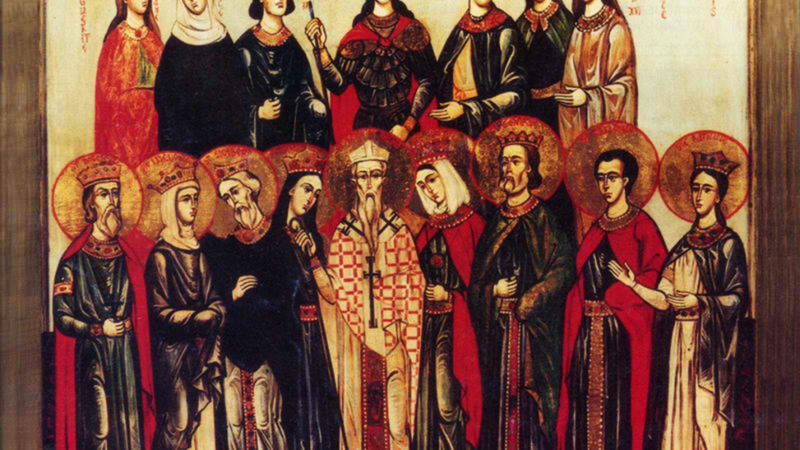 ÆMILIAN, ÆMILIUS, EMILIUS, FELIX, LUCIAN, and PRIAMUS, (Date Unknown), six Christians in Sardinia to whom a church is dedicated. Though most probably martyrs, nothing beyond their names is known. CARAUNUS (CERAUNUS, CHERON), (Fifth Century), following the repose of his parent, St. Caraunus liquidated his estate and distributed all the proceeds to the poor. He then left the world and lived as a hermit. His reputation for holiness of life spread far and wide, eventually reaching the diocesan bishop, who then ordained St. Caraunus to the diaconate. The newly ordained deacon then dedicated the rest of his life to missionizing areas of Gaul where the Faith has all but vanished. St. Caraunus was killed by bandits near Chartres. GERMANUS (GERMAIN) of PARIS, ordained to the priesthood by St. Agrippinus of Autun (9th July), and was elected Bishop of Paris in 554. By his good example of his life, St. Germanus brought many back to Christ, even King Childebert I who had been living a life of sin. The King built the Abbey of St. Vincent (later Saint-Germain-des-Prés) for St. Germanus, where King Childebert was buried following his repose (561). St. Germanus continued as Bishop of Paris until his repose 576, and was buried in a forecourt chapel at the Abbey of St. Vincent, his relics were later translated to a place behind the altar of the abbey church. 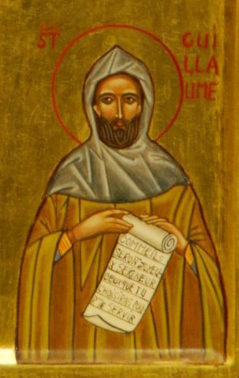 JUSTUS of URGELL, (Sixth Century), the first recorded Bishop of Urgell in Catalonia, St. Justus authored a commentary of the Song of Solomon, attended the Second Council of Toledo (527), and is one of the viri illustres whom St. Isidore of Seville (4th April) wrote a Life. PODIUS, consecrated the sixteenth Bishop of Florence in 990. Serving until his repose in 1002, St. Podius’ episcopate is remembered for the work he did for the good of his See. SENATOR, a Milanese priest who was sent as a Papal Legate to the Fourth Ecumenical Council (451). St. Senator was consecrated the twenty-second Bishop of Milan in 472 and was Prelate of that See until his repose in 480. WILLIAM of GELLONE (of AQUITAINE), the second Count of Toulouse, a cousin of Charlemagne and grandson of Charles Martel, and career soldier. Following his retirement, St. William founded the Abbey of Gellone (later Saint-Guilhem-du-Desert) in Hérault approximately 27 km/17 mi north-west of present-day Montpellier. St. William reposed 812.